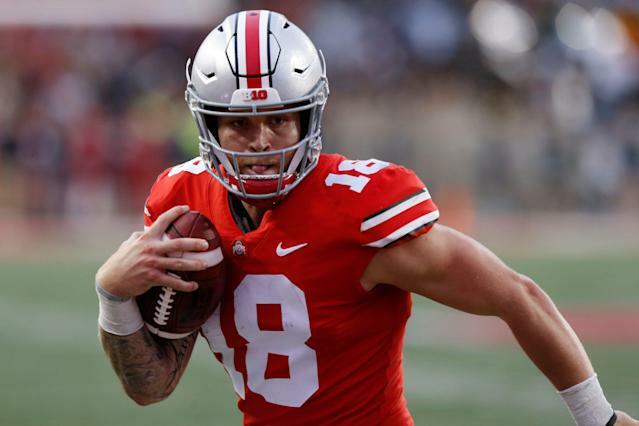 Tate Martell won’t have to sit out the 2019 season. Miami announced Tuesday that the Ohio State transfer had been granted immediate eligibility by the NCAA and would be able to play in 2019. "We are pleased with this ruling and appreciate the NCAA recognizing that this waiver met the criteria under the membership established guidelines," Miami athletic director Blake James said in a statement. "We would like to thank the NCAA, as well as Ohio State University, for their assistance and support throughout the waiver process. We look forward to seeing Tate compete for the Hurricanes this season." Martell, who was Ohio State’s No. 2 quarterback behind Dwayne Haskins last season, transferred to Miami after former Georgia quarterback Justin Fields said he was transferring at the end of the season. Fields picked Ohio State and Martell decided it would be in his best interest to transfer. On Jan. 10, news broke that Martell’s name was in the NCAA’s transfer database and was exploring a transfer. He’ll have three seasons of eligibility at Miami. Fields was granted immediate eligibility at Ohio State as well. Without Martell on campus and Haskins off to the NFL, he’s the clear favorite to be the starter for the Buckeyes. Martell’s lawyer Travis Leach reportedly said in Martell’s appeal for immediate eligibility that the quarterback was no longer wanted by Ohio State when Fields committed to the team. That, coupled with Ohio State’s willingness to let Martell play right away at Miami — likely because Fields got immediate eligibility in Columbus — helped sway the NCAA. Martell’s arrival in Miami comes as the Hurricanes are looking at a quarterback overhaul under new coach Manny Diaz. Malik Rosier was a senior in 2018 and N’Kosi Perry had a tumultuous 2018 season. Perry didn’t play in the Pinstripe Bowl loss to Wisconsin after he posted a sexually explicit video to social media. That came after a video posted to social media earlier in the season where he was in a car with a large sum of cash. Perry is back with the Hurricanes for 2019. But it’s easy to believe the team wouldn’t have pursued Martell if it wasn’t looking for an upgrade at the position. The school said Monday that quarterback Cade Weldon was transferring.